WGPR-TV (Where God’s Presence Radiates) was the first television station in the United States owned and operated by African Americans. The station, located in Detroit, Michigan, was founded by William Venoid Banks. 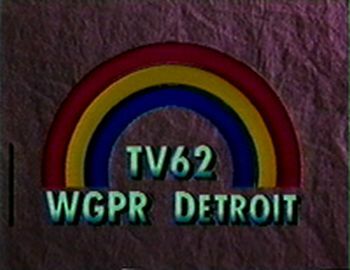 WGPR-TV marketed toward the urban audience in Detroit, Michigan, which in that market meant programming for the African American community. 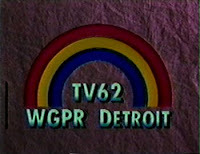 WGPR-TV first aired on September 29, 1975 on channel 62 in Detroit, Michigan. Station founder William Venoid Banks was a Detroit attorney, minister and prominent member of the International Free and Accepted Modern Masons, an organization he founded in 1950. The Masons owned the majority of stock in WGPR-TV. The station initially broadcast religious shows, R&B music shows, off-network dramas, syndicated shows and older cartoons. It was Banks’ vision that WGPR-TV provide African Americans with crucial training and experience in the television industry, allowing many local blacks the opportunity to work "behind the camera" in producing, directing and other roles which placed content on air. The station aired some locally-produced programming including Big City News, The Scene, and Arab Voice of Detroit. Big City News was a Monday through Friday newscast that aimed to focus on community activities from the African American perspective, showcasing positive “success stories.” It was discontinued in 1992. The Scene, a nightly dance show that offered young Detroiters an opportunity to display their musical and dance talents, ran from 1975 to 1987. It still enjoys a cult following of viewers and former dancers. Arab Voice of Detroit was a public affairs show directed toward the significant Arab American population in Detroit and its suburbs. Whatever its popularity among blacks in the television industry, WGPR-TV failed to attract a large audience outside the African American community. Even within that community, it competed with larger stations that after 1975 offered more programs directed toward African Americans. After 1980, the station faced its most powerful competition in the Black Entertainment Television (BET). Moreover with its 800,000 watt signal compared with 2 million watts for major Detroit TV stations, WGPR-TV never reached an audience beyond the city of Detroit. By the 1990s WGPR aired primarily reruns and infomercials. On July 25, 1995, WGPR-TV was sold to CBS amid controversy from the black community, which felt that the station should remain under African American management. The Masons in particular were criticized for selling the station to a mainstream network. Two months later, CBS changed the television station name to WWJ-TV and targeted its programming for a general audience.